Home Gadgets Apacer AH333 Flash Drive: Perfect capacity, radian and hand-feel enrich your digital life! Apacer AH333 Flash Drive: Perfect capacity, radian and hand-feel enrich your digital life! The latest launched Apacer AH333 “Perfect Partner” flash drive employs a pebble-like rounded contour which creates perfectly firm and comfortable hold. A unique sense of design is shown in the two colors available: chic ivory white and mysterious black, with an arc stripe in ruby red. In addition to its compact size for portability, its maximum capacity can reach up to 64GB, realizing portable bulk storage. Round and firm, stylish and gracious and embodying a sense of generosity, AH333 certainly is the most perfect digital partner! AH333 “Perfect Partner” flash drive features comfortable touch for its unique rounded appearance and pebble-like contour, drawing people to play around. In addition, its compact size makes itself as portable as a truthful digital partner. The stylish simple body, either in ivory white or mysterious black, is capped with a unique arc stripe in ruby red, radiating elegance in its low profile! AH333 “Perfect Partner” flash drive not only features perfect hand-feel with its rounded appearance, but demonstrates Apacer’s consistent focus on thoughtful and intricate design. Its compact body gives the user a firm grip with perfect hand-feel and makes it easier for plugging/unplugging. The hidden built-in strap hole at the rear allows users to freely attach individual straps showing their personal style! People are bombarded by massive amount of data nowadays. 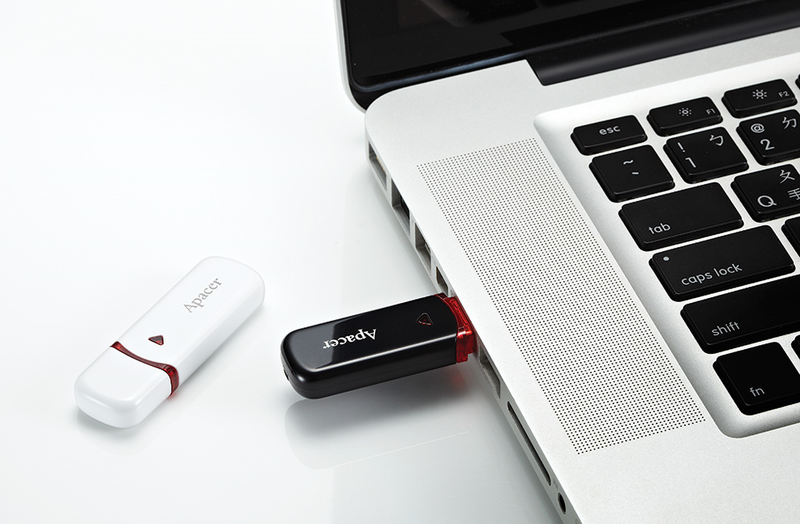 As a result, a high-capacity flash drive has become a must-have accessory! Equipped with a capacity up to 64GB, AH333 “Perfect Partner” flash drive relieves people’s information anxiety by rendering MP3 songs, HD movies, photos, e-books and working files portable! In addition, multiple capacities (4GB, 8GB, 16GB and 32GB) are available to choose from. AH333 also offers exclusive ACE compression software which expands the capacity by up to 500% and ensures data security and privacy through encryption. 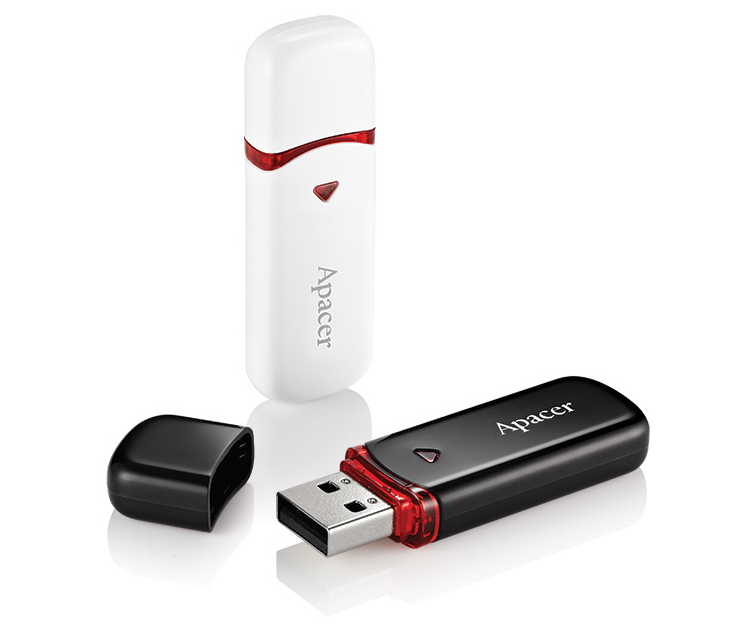 Apacer AH333 USB 2.0 “Perfect Partner” flash drive features perfect capacity, perfect radian and perfect hand-feel. With its perfect combination of stylishness and practicability, who else can compete?